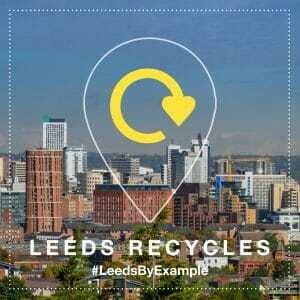 Following on from the huge success of the Square Mile Challenge, which saw over 4 million coffee cups in the City of London recycled, environmental charity Hubbub has launched a new campaign in the City of Leeds called #LeedsByExample, which aims to increase the number of food and drink packaging being recycled. As part of Bunzl plc, we will be supporting the #LeedsByExample campaign alongside an array of other industry and household names, including: Alupro, Asda, Association of Convenience Stores, Ball Beverage Packaging Europe, British Plastics Federation, Coca-Cola GB, Costa, Co-op, Crown Packaging, Danone, Ecosurety, Highland Spring, Innocent, Klöckner Pentaplast (kp), Lucozade Ribena Suntory, Marks and Spencer, McDonald’s, Morrisons, PepsiCo UK, Pret, Starbucks and Shell. Those who live, work or visit Leeds City Centre are now able to recycle their waste on the go in one of the special #LeedsByExample bins and at a range of locations such as local offices, shopping centres and universities. Once placed in the special bins all the waste will be sent to a Materials Recovery Facility in Leeds for sorting into different material types before being sent on to reprocessing facilities for recycling. 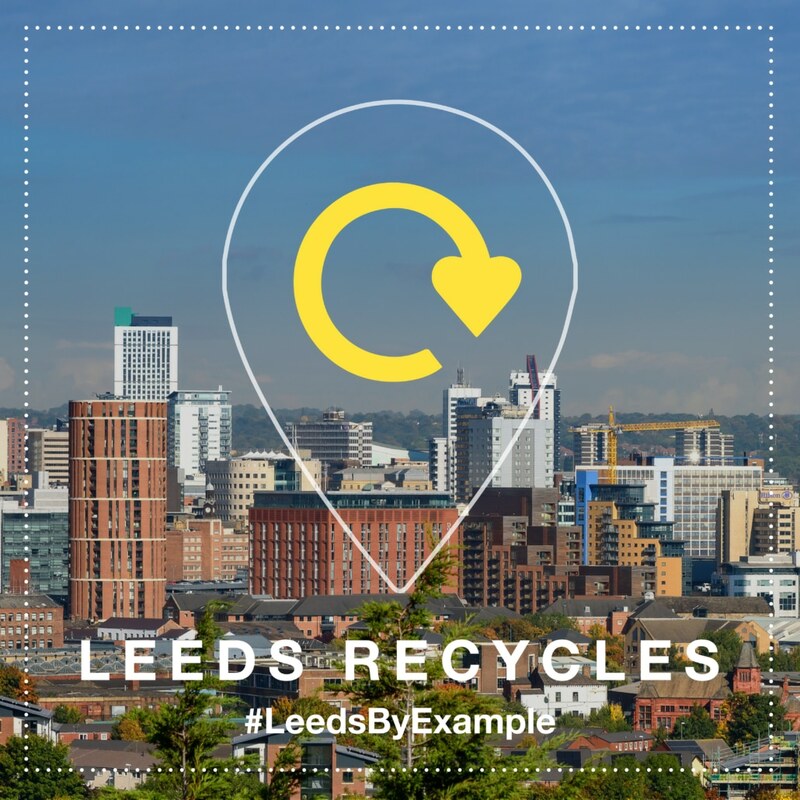 Leeds has been chosen for this campaign because it’s a major destination for business and leisure, it has a growing residential population and the average weekly footfall of 1.3 million provides a great opportunity to trial this innovative approach to recycling. 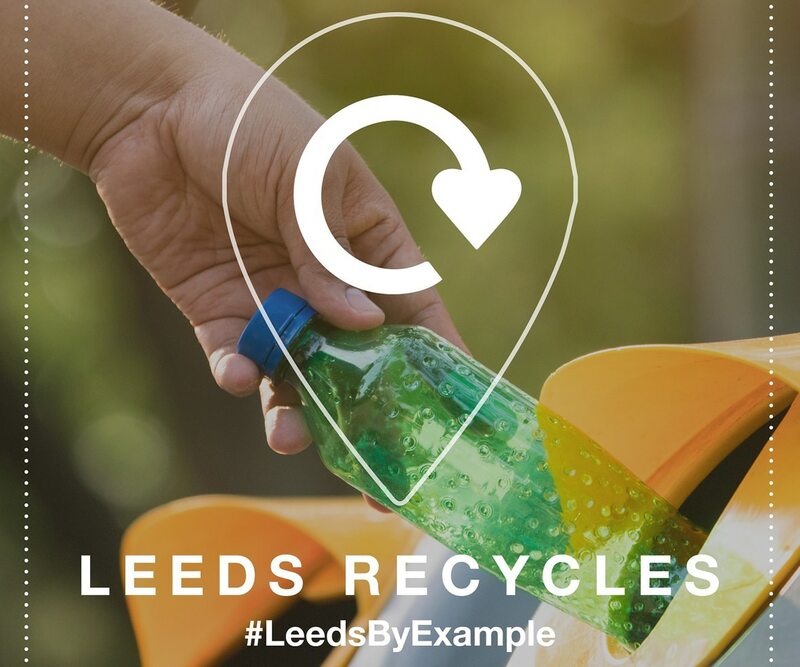 Prior to the launch of #LeedsByExample, Hubbub conducted a survey of visitors to Leeds City Centre in August 2018 and found that 52 per cent of respondents had thrown away recyclable waste, such as plastic bottles, cans, coffee cups and food packaging – a statistic it hopes to drastically reduce. 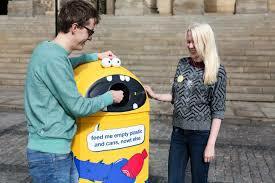 Hubbub will also be using playful messages to communicate the concept of recycling to the consumer, such as ‘empty plastic and cans, nowt else’ written on recycling bins. These informative yet eye-catching messages should help to improve the quality of recycling collected, by preventing recycling being contaminated by liquids, tea bags and leftover food. Hubbub will also have messages at road crossings and parks, and a large shipping container display, all to influence consumers to recycle whilst they are on the go. The campaign will run for six months and once completed, data will be compiled and the results will be made openly available. The aim is that the successful elements of #LeedsByExample will continue in Leeds and will be rolled out throughout the country. Our supplier of disposables and food packaging Huhtamaki on their collaborative cup recycling projects. In the latest Ask the Expert blog Joanna Gilroy talks about the Defra Resources and Waste Strategy. Bunzl Catering Supplies has added the reCUP™ from supplier Cup Print to its portfolio of sustainable paper cup options.